Fondly called ‘Nalini’ by Rabindranath Tagore, Annapurna Turkhad is the subject of an upcoming Marathi-Bengali film being produced by Priyanka Chopra. See all around the shroud of sleep has gone. —the English translation of an excerpt from Tagore’s poem Probhati. Fondly referred to as ‘Kobiguru’, poet laureate and versatile genius Rabindranath Tagore lives on through his timeless literary work. But for many, his enduring legacy is nowhere better expressed than in his original songs, of which there are over 5,000. Given this, it’s not very surprising that the Bengali icon is often also called the ‘poet of romance’. However, few know the story of Tagore’s love for Annapurna Turkhad of Bombay. As a 17-year-old, the future Nobel laureate had fallen in love with the young Marathi girl he would go on to immortalise in many of his poems. Interestingly, this little-known romance is set to be revealed through an upcoming Bengali-Marathi movie called Nalini. Being produced by Priyanka Chopra’s production house Purple Pebbles Pictures, the film is based on written documents and will be narrated from the point of view of a young student in modern-day Shantiniketan who sees a picture of Annapurna captioned ‘Nalini’. Here’s the story of Annapurna Turkhad, the girl Tagore fondly called ‘Nalini’ and from whom the movie draws its name. Also known as Anna or Annabai, Annapurna was the daughter of Atmaram Pandurang Turkhad, a Mumbai-based (then Bombay) doctor. Belonging to a highly educated family, Atmaram was also a dedicated social reformer who had founded the Prarthana Samaj. As such, his circle of friends included reformists and eminent citizens from across the country. One among these acquaintances was Rabindranath Tagore’s elder brother, Satyendranath Tagore — the first Indian to have been inducted into the Indian Civil Service. 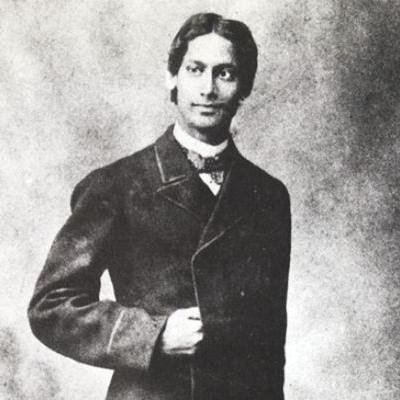 Hoping that his younger brother’s English would improve if he stayed with the anglicised Turkhund family, Satyendranath convinced 17-year-old Tagore to stay with the Turkhud family prior to his first voyage to Britain in 1878 (where he was going to pursue further studies). So, for two months in mid-1878, a teenaged Tagore lived at Atmaram’s household, taking lessons in spoken English from Anna. About three years elder to Rabindranath, Annapurna had just returned from England and was comfortably conversant with the English language. It is believed that a mutual attraction developed between the two during these days, a platonic relationship that has been vividly described by Krishna Kripalani in his book Tagore—A Life. According to this book, as affection bloomed between them, Tagore gave Anna the nickname ‘Nalini’ and wrote several poems inspired by her. However, the youthful love did not transform into a future together, with destiny willing otherwise. After his two-month stay in Bombay ended, Tagore bid adieu to Anna and departed for England on a ship. Two years later, Annapurna married Harold Littledale, the Scottish vice-principal of Baroda High School and College. Subsequently, the couple left India for England and settled in Edinburgh. It was here that Annapurna died in relative obscurity in 1891 at the young age of 33. Interestingly, evidence suggests that a marriage between Tagore and Annapurna was considered by Atmaram, but was rejected by Debendranath (Tagore’s father) due to his son’s young age and Annapurna’s being older than his son. 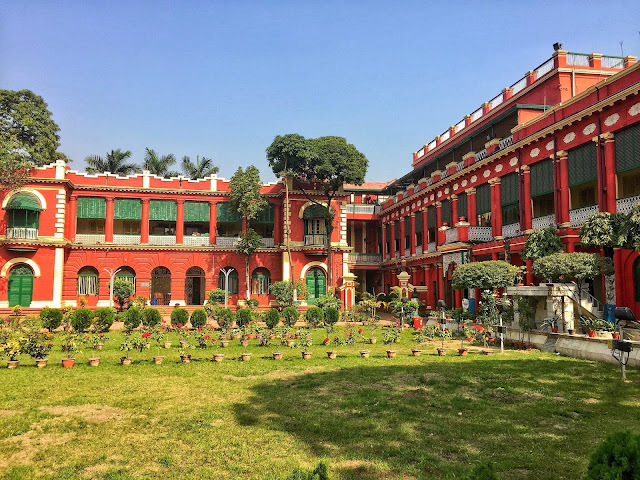 According to the book The Myriad Minded Man (written by Krishna Dutta and W. Andrew Robinson), Atmaram and Annapurna travelled to Calcutta in early 1879, where they paid a visit to Debendranath at Jorasanko Thakur Bari, the family residence of the Tagores. 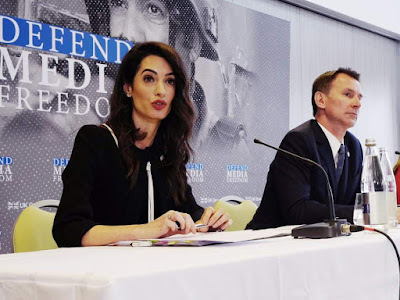 What passed between them remains shrouded in mystery, but the authors believe that it is highly likely that it was then that the match was mooted and rejected. A present-day picture of Jorashanko Thakur Bari, the ancestral home of the Tagores. 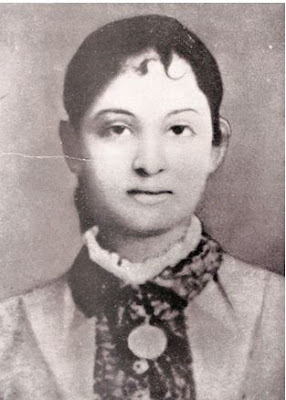 However, the fact that Annapurna continued to use ‘Nalini’ as her literary moniker and named one of her nephews as Rabindranath shows that it was not just a momentary flirtation for the two. Tagore too continued to write both poetry and prose where the name Nalini is taken in the most endearing of manners. As such, it can be expected that this story will make for a memorable on-screen adaptation. Featuring Saheb Bhattacharjee as the young poet and Marathi actor Vaidehi Parashurami as Annapurna, the upcoming period film will be directed by National award winning filmmaker Ujjwal Chatterjee. Chatterjee claims that ‘Nalini‘ is based on written documents and ‘extensive research’. However, he is aware of the sentiments involving an icon as big as Tagore. This is why he told the New Indian Express, he has had an eight-member experts panel (including Jnanpith award-winning poet Sankha Ghosh, an authority on Tagore) review the script before making changes accordingly.